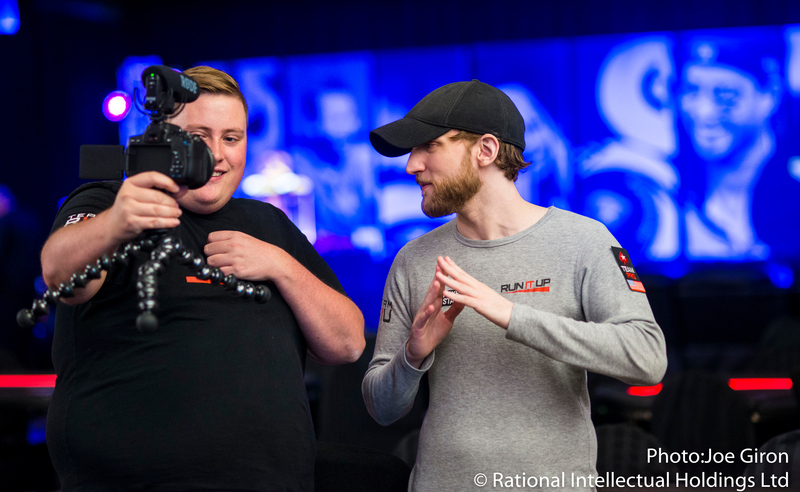 Jason Somerville and his crew hosted a fun 8-game tournament at PokerStars Festival NJ. Mixed game tournaments are gaining steam in poker, thanks in part to Jason Somerville's efforts. Right from the outset of PokerStars Festival New Jersey, tournament organizers were clear about one thing. This event, and PokerStars Festivals in general, are not about drawing a huge number of players and awarding massive first-place prizes. These events are about giving the players at them a fun and very different experience than they're used to at poker tournaments where the schedule is typically a 12-hour grind with players rinsing and repeating until they bust. "Overwhelmingly we just want people to have a bit of fun," PokerStars Department Head of Live Poker Operations Neil Johnson told PokerNews at the outset. "You hear people say all the time that the fun is missing from poker a little bit and that's what we want to change." One way to do that is offer a schedule that's a little different from the standard series of no-limit hold'em turbos and hypers that appear as side events on a typical tournament docket. Many feel the silent, three-betting players in hoodies and sunglasses turn people away from the game. One way to break away from that mold of player is to offer up some mixed-game events. Here at Resorts Casino Hotel, one of the events proving to be a hit is Saturday's $340 Run It Up 8-Game Championship. In a series that saw a few events canceled to due to low player interest, the 8-Game Championship has a healthy 10 tables running with registration still open for another hour at press time. 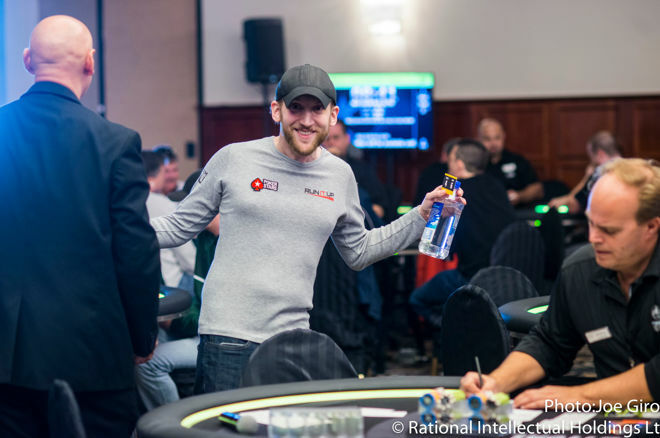 That's something Run It Up king and PokerStars Team Pro Jason Somerville is thrilled to see. No-limit hold'em has been the game of choice for well over a decade, but that's something Somerville is slowly trying to change. He uses his ultra-popular streaming platform on Twitch to take the mixed-game love to the masses and the popularity of the mixed tournaments he runs and streams is all the evidence he needs that things are moving in the right direction. "It's amazing; people really seem to enjoy it," Somerville said. "We can see it reflected in turnouts like this. When I'm playing Spring Championship of Online Poker and World Championship of Online Poker, we get huge numbers in the tens of thousands of concurrent viewers. I think the most I've ever gotten has been 27,000 for stud hi-low." Somerville himself loves the mixed games. He played a number of mixed events at this summer's World Series of Poker after saying he worked very hard on his mixed game in the "offseason." The results were encouraging. Somerville took 16th in the $10,000 H.O.R.S.E. Championship and 24th in the $1,500 8-Game. It wasn't always that way, though. Like most players, Somerville's poker life began with no-limit hold'em and he was initially resistant to change. It was the prodding influence of friend and now-teammate Daniel Negreanu that convinced Somerville to give the mixed games a go. "I became friends with Negreanu and he tried to show me these mixed games," Somerville said with a laugh. "I was like, 'Get out of here Negreanu with your withered mixed games.' Now, here I am, almost 30 and I just love it." Somerville has been a hold'em player for over a decade. "At this point, playing one game is just kind of boring," he said. "It's more fun to change the game all the time and constantly think about new situations. It's very easy in hold'em; it's like you have ace-king, you raise. In stud, there's dynamic ever-changing situations." Humans are curious creatures. Spend enough hours on no-limit hold'em and many eventually grow bored and branch out. They give mixed games a try organically or are exposed through friends the way Somerville was. The fun factor is found in trying to learn and master a new game. And while fun is one of the big things that draws players like Run It Up crew member Andy Camou to the mixed games, Camou also sees the potential to win and the opportunity to exploit a bigger edge than he might have in a run-of-the-mill no-limit hold'em tournament. "From the perspective of someone who is playing for profit, mixed games are less solved," he said. "The games aren't as difficult as no-limit hold'em or pot-limit Omaha. It's great to be able to approach it as new territory for a lot of people. It's not just everybody knows everything about all of the games a lot of the time. It's a ton of fun." The atmosphere is different, too. Camou played a heavy tournament schedule over the summer in Las Vegas, where he could regularly be found playing tournaments, usually of the no-limit hold'em variety, at a number of venues. He notices a definite change when he hops into the mixed-game tournaments regularly found on the Run It Up schedule — Somerville's popular tournament series that features an eclectic collection of events. "In a no-limit hold'em tournament, everyone is just super serious, thinking on a ton of different levels every time and thinking about how people are trying to level them, all these super deep strategies," Camou said. "You can still do that in mixed games, but here, it seems like people are more chatty with each other and having a lot more fun." Somerville's mission to spread the mixed-game gospel is far from complete. While mixed-game tournaments are now a common sight at many poker festivals, and players are slowly but surely being drawn to them through mediums like Somerville's stream and his PokerStars Home Games, there are still things he would like to see added or changed. He's an advocate for four-color decks to help with games like stud, where it can be difficult to keep track of suits and exposed cards. He'd like to see more variation in the actual events that are run. For example, while no-limit hold'em turbos are a common variant, he said that you just don't see turbo stud events. He also admitted to running into the occasional quizzical tournament organizer or host who wonders if Somerville's tournament ideas are even viable. But while the scene isn't where Somerville wants it to be, it's getting there. The mixed-game tournaments are running, players are loving them, and maybe at some point in the near future, every tournament series will have at least one well-attended mixed-game event. Somerville's campaign is working, and he's got a slogan that fits with the times. "We're trying to make mixed games great again; that's what we're trying to do," he said.